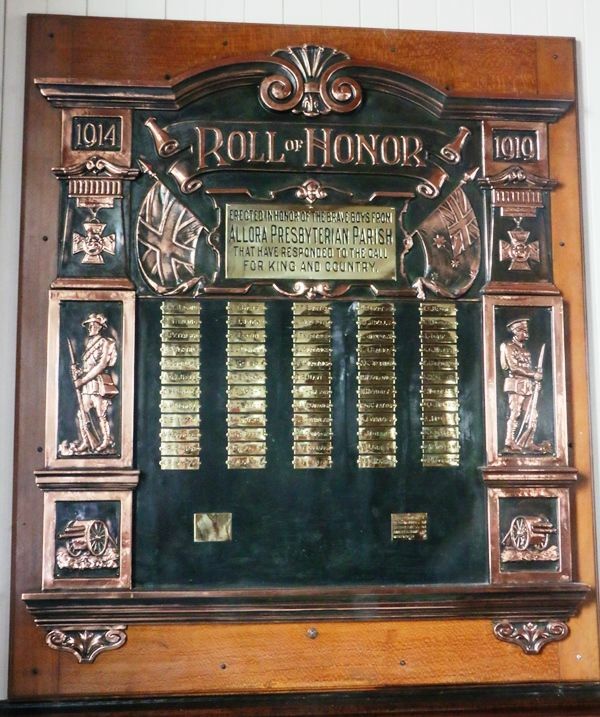 A brass honour roll commemorates those from the parish who enlisted in World War One. The 12th anniversary of the Allora Presbyterian Church was held on Sunday last at 3 p.m. 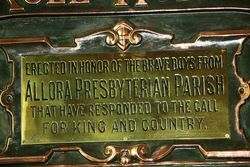 The seating accommodation of the church was taxed to the utmost and many were unable to gain admission. 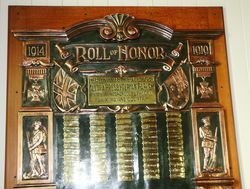 The occasion also marked the unveiling of the church honour roll, with the names of members and adherents of the church who had enlisted in the great world war. 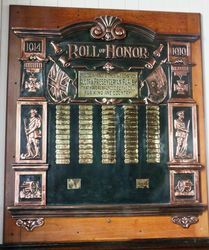 The roll contained 59 names, and of that number eleven at least are known to have made the supreme sacrifice. 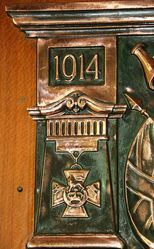 The anniversary service and unveiling ceremony was performed by the Rev. T. W. Smyth, minister of the local charge, who was assisted by Miss Mackness, principal of the Presbyterian Girls' College, Warwick. Warwick Examiner and Times (Qld), 20 November 1918.